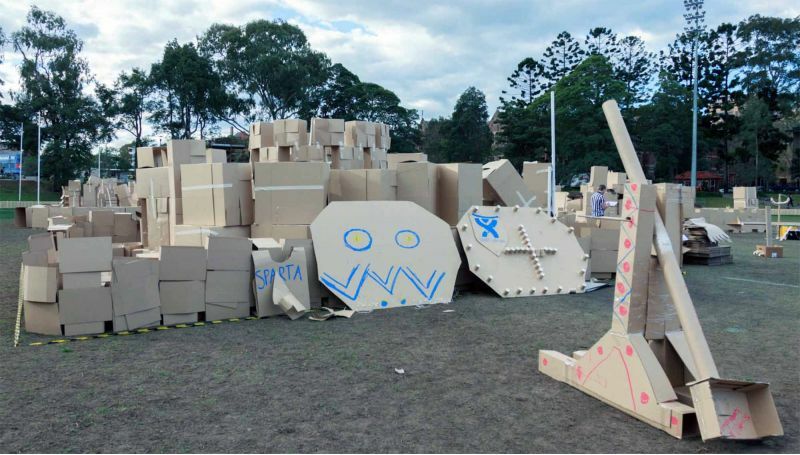 Teams build a stronghold, construct heavy weapons and strategise in a cardboard war. 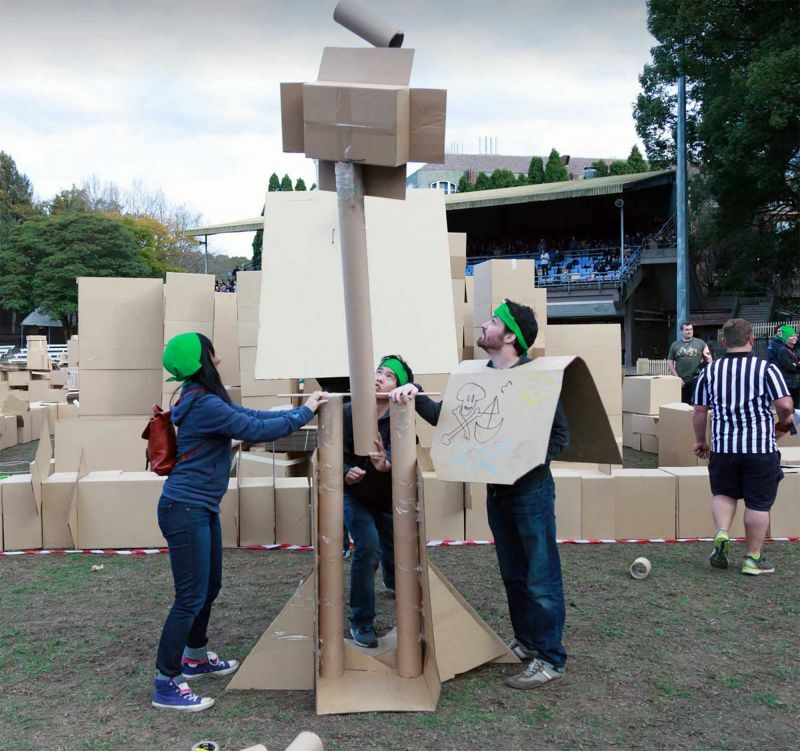 Immerse yourself in a cardboard world where in teams you will be building and strategizing to see who will be the true champion of The Empire. 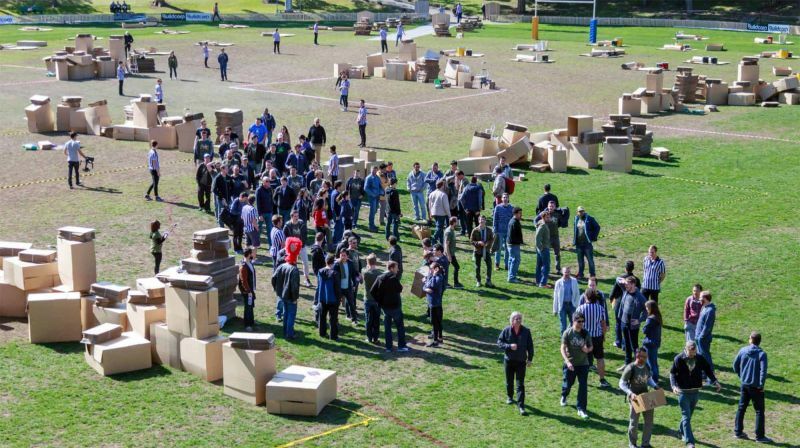 Teams divide into groups focusing on 3 separate tasks, building your Stronghold, constructing Heavy Weapons for attack and organising Light Weapons for defence. 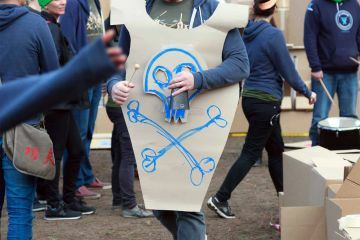 These groups must interact constantly with one another to ensure they are in sync with an attack and defensive strategy. 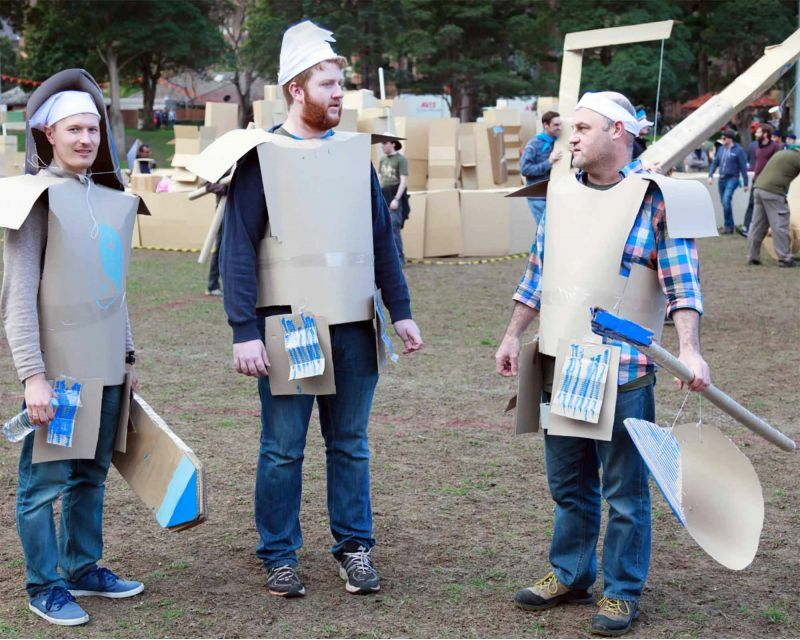 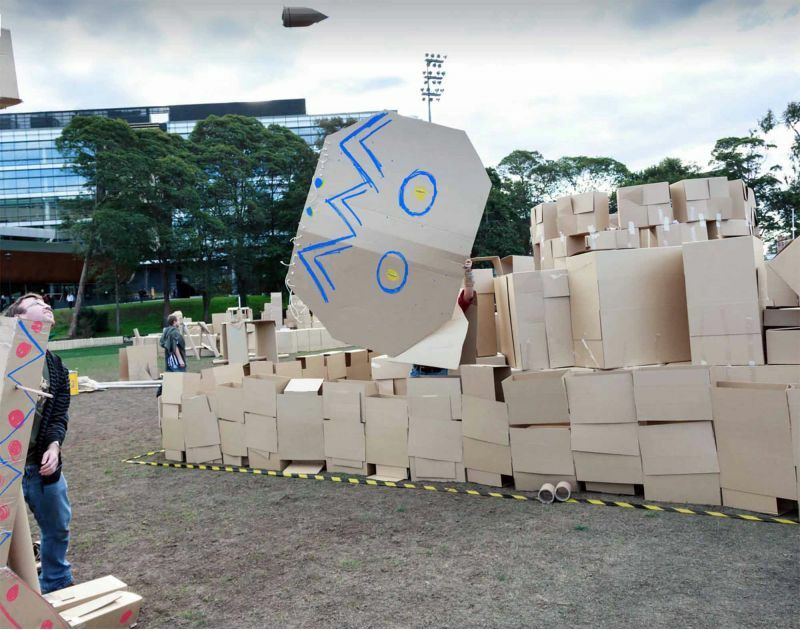 The day finishes with the ultimate cardboard war where teams will battle it out in a very tactical game to determine The Box Empire Champions. 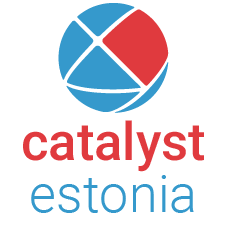 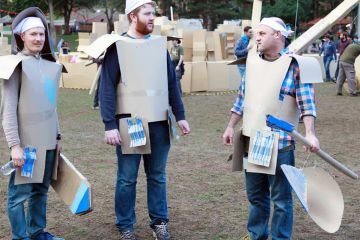 Teams that manage to work in their smaller groups while maintaining a high level of collaboration in developing a strategy will be far superior. 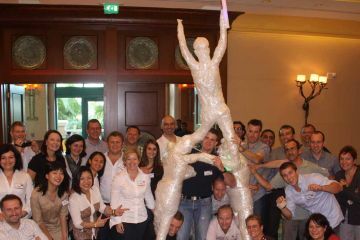 A huge amount of teamwork is required to ensure the task at hand is completed and the designed standard. 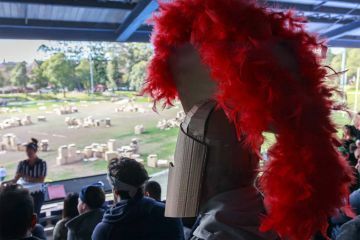 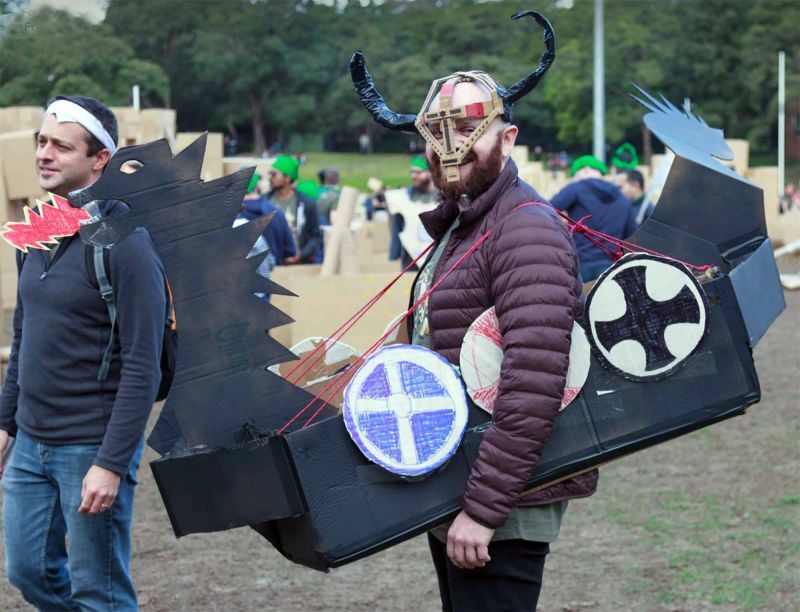 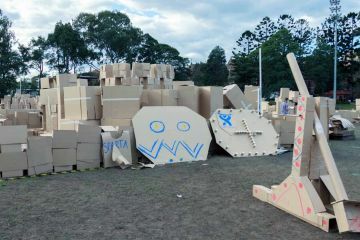 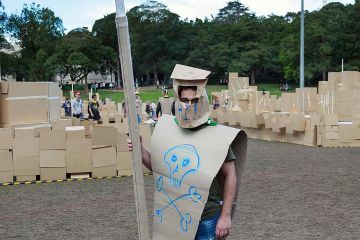 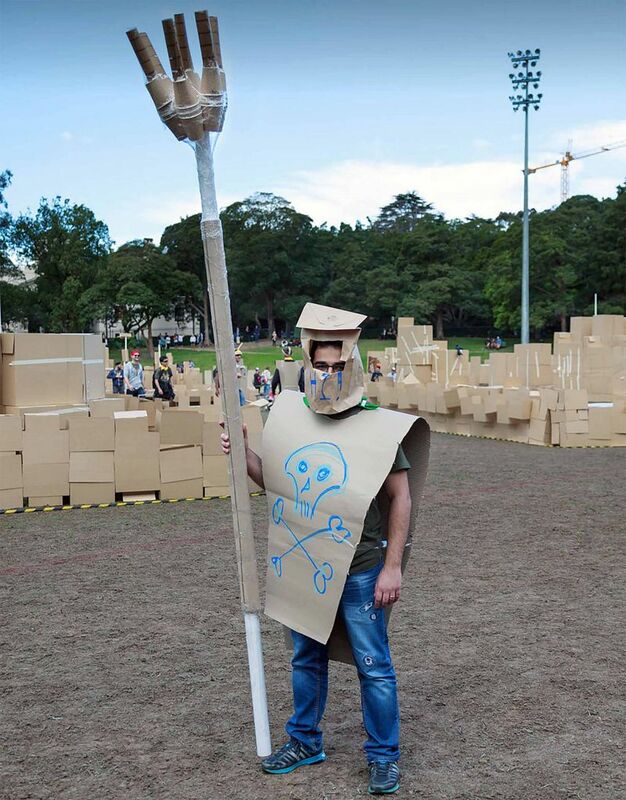 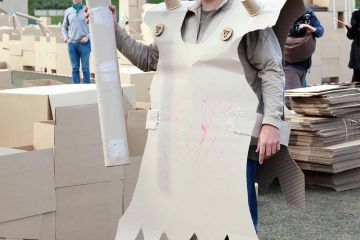 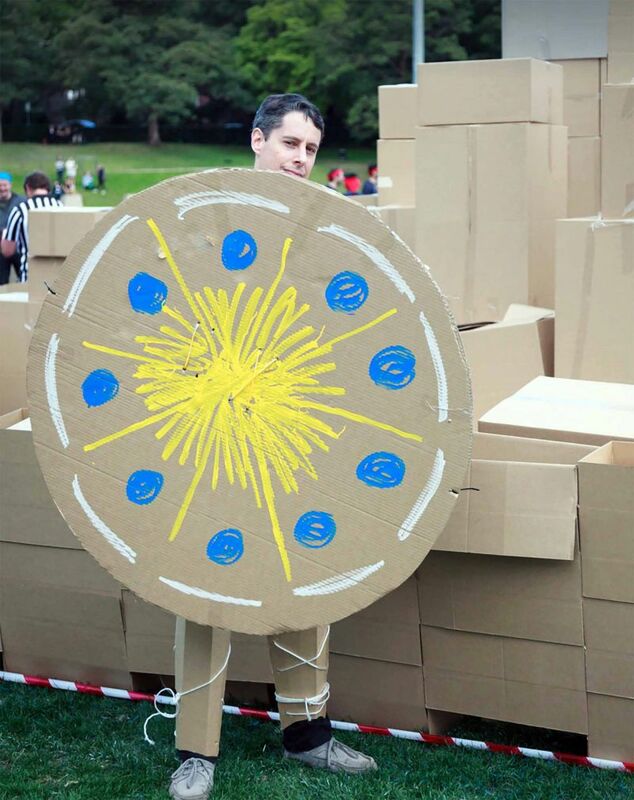 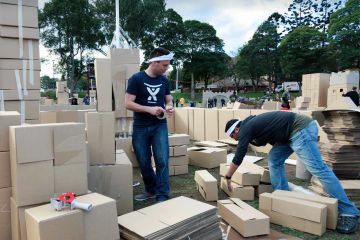 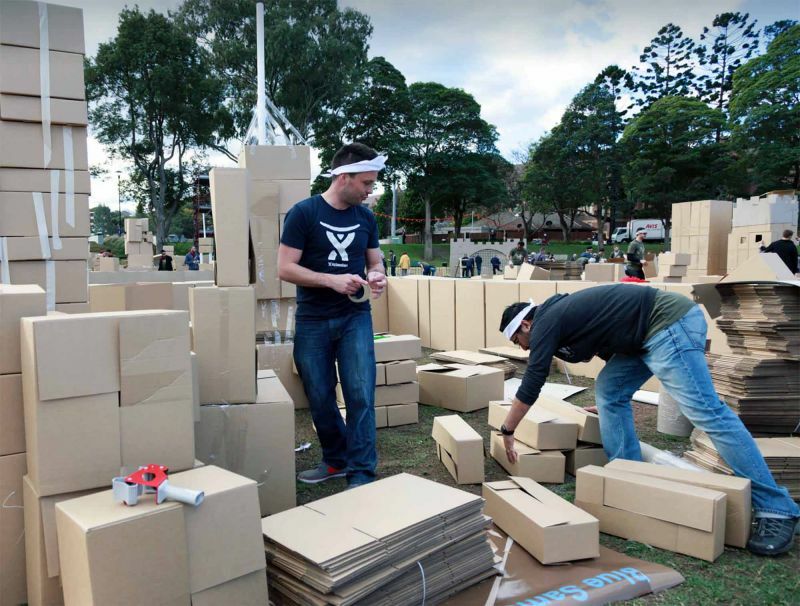 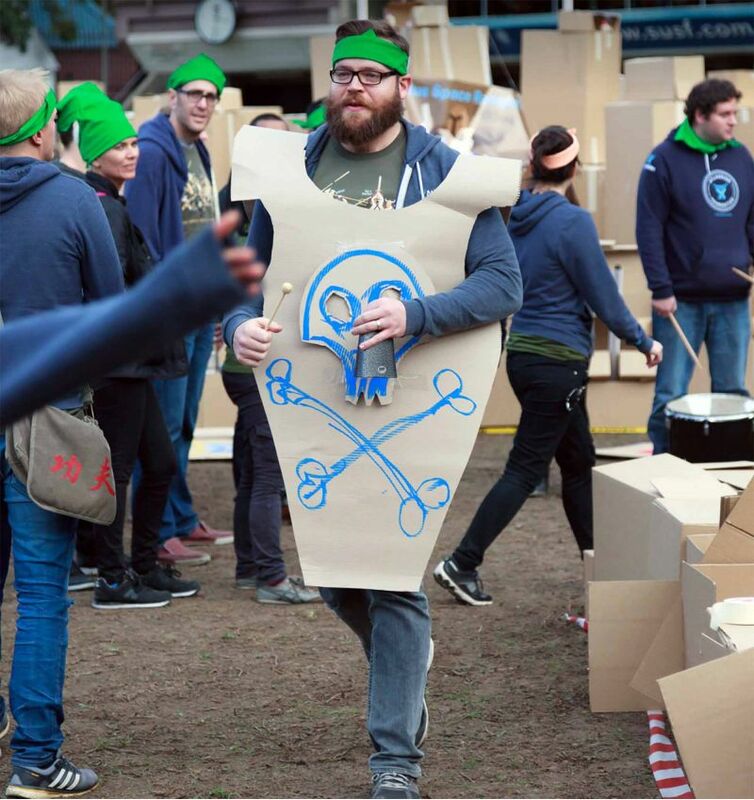 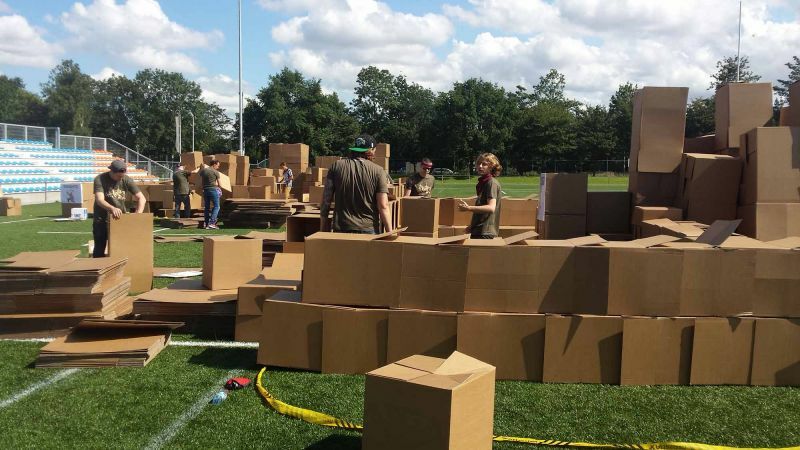 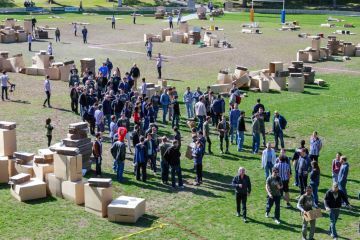 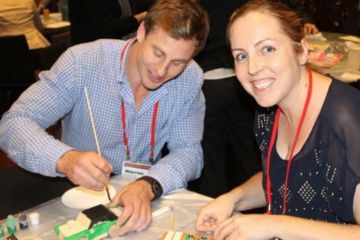 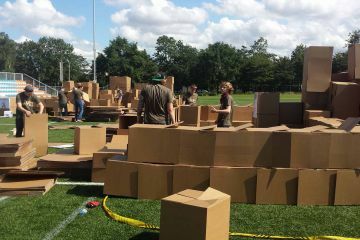 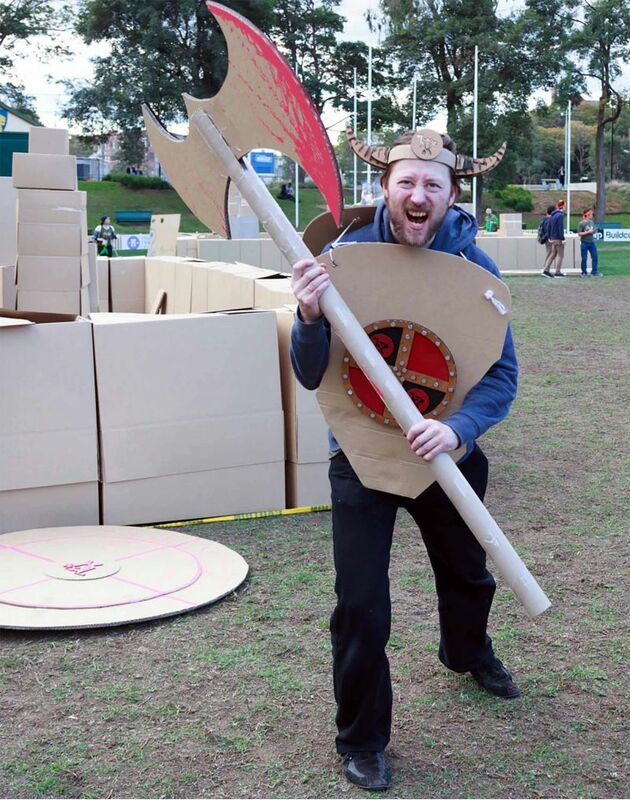 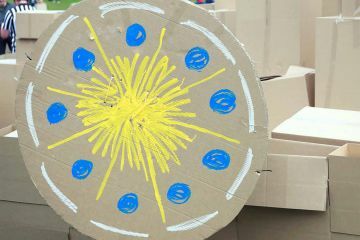 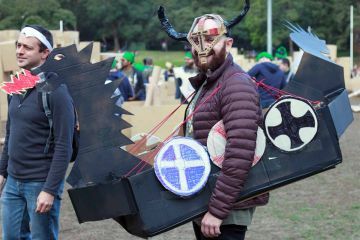 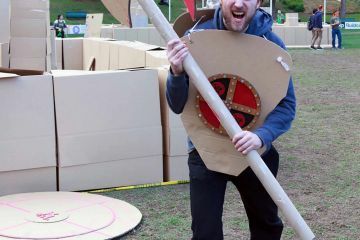 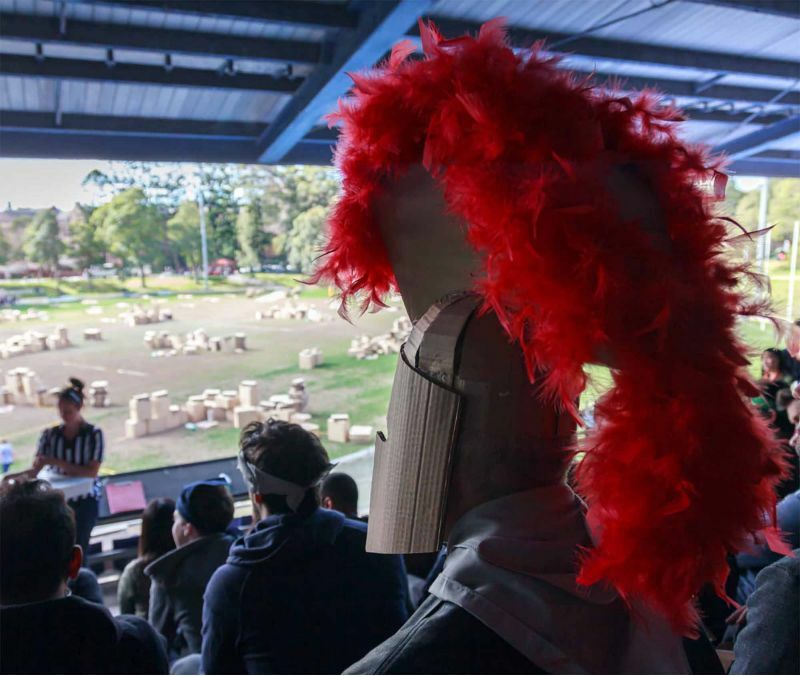 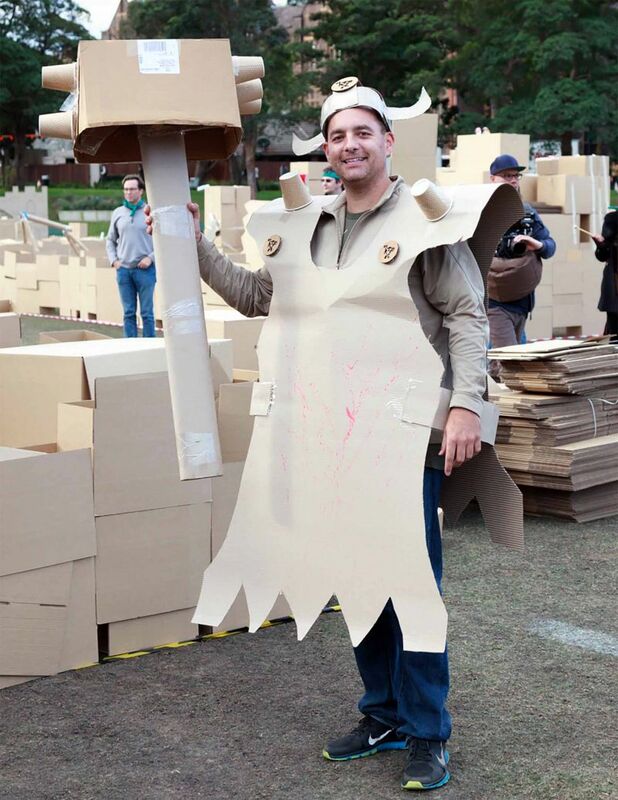 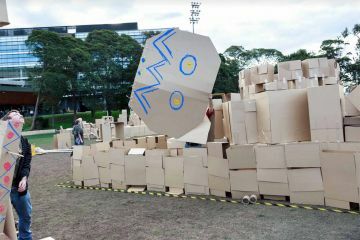 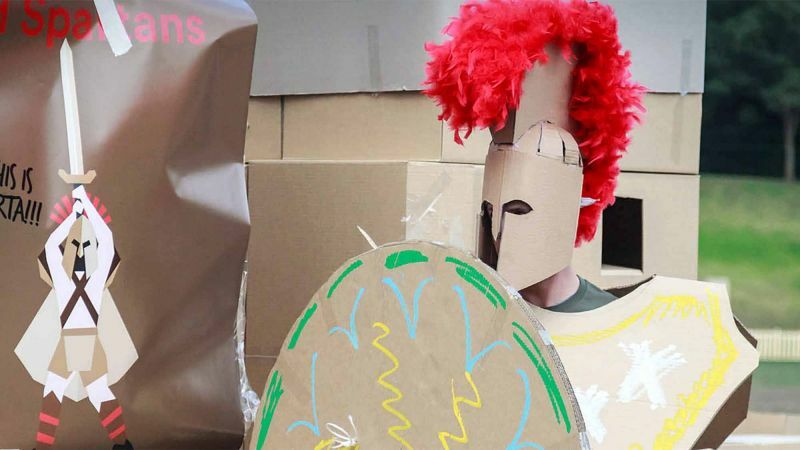 There is also a large scope for creativity across all three sections allowing those with that mindset to truly express themselves.In the cardboard war, teams learn to watch their back in defence of each other and protect their fellow team mates through applying both planned and improvised attack strategies. 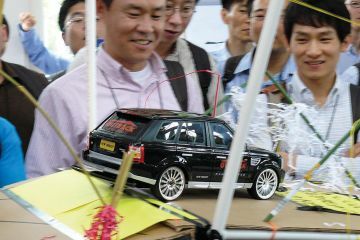 Incredibly crazy great fun. 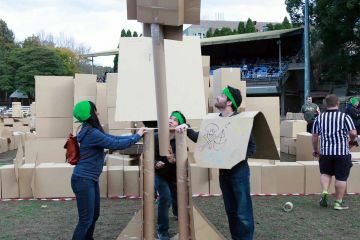 Took us all away from our computers and got us thinking creatively and connecting face-to-face.